Why is Microneedling Effective with All Skin Types? Microneedling is an increasingly popular skin rejuvenation procedure that helps reduce facial signs of aging and helps to minimize the appearance of acne scars. There are several reasons for its growing popularity, but two stand out in particular. Using the SkinPen® device, microneedling can be used anywhere on the body, and the procedure is safe for all skin types. What do we mean when we talk about “skin types”? Type I is the whitest skin, often freckled. Sun exposure always burns this skin. Type II is also white, and usually burns when exposed to the sun. Type III is white but may have an olive tone. Sun exposure may cause it to burn. Type IV is brown and usually not burned by sun exposure. Type V is dark brown. Sun exposure rarely causes burns. Type VI is black. It does not burn when exposed to the sun. Medical professionals and clinicians use the Fitzgerald Scale to classify an individual’s skin type before recommending any skin-specific cosmetic procedure. This is very important, because different skin-types have different vulnerabilities to procedures and therefore may carry more risk for procedure-related problems and after-effects. These can include lightening or darkening of the skin in the procedure area, blotchiness, skin discoloration, burns, or even scarring. When it comes to issues like post-inflammatory hyperpigmentation (PIH), individuals with skin type I-III have less risk while those with skin type IV-VI have more risk. 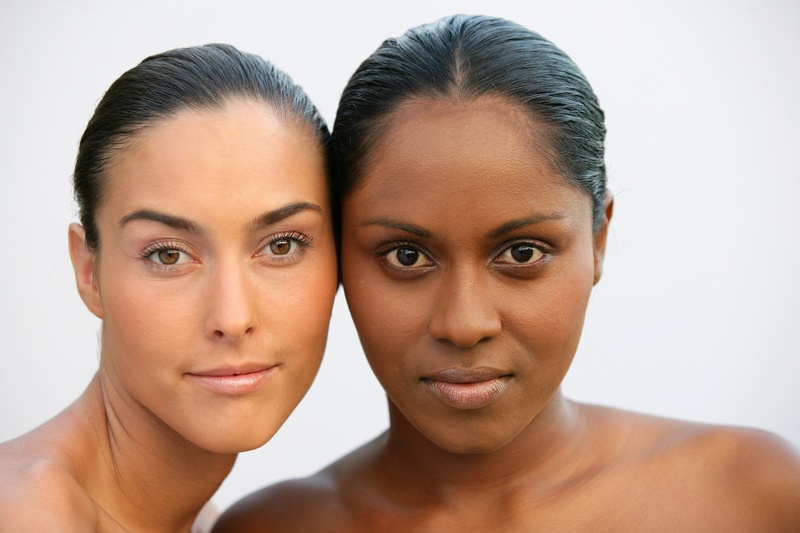 For this reason, procedures such as microdermabrasion, chemical peels, and certain laser treatments are not recommended for patients with darker skin. Why is microneedling effective for all skin types? Microneedling is not a light-based procedure, nor does it involve harsh chemicals or techniques that can instigate significant inflamtion of the skin. Furthermore, it does not significantly damage the epidermis. For these reasons, microneedling is both safe and effective for every skin type. Burns, scarring, and pigmentation issues are not typical when the procedure is performed correctly and it requires virtually no downtime. The results you can expect from any skin rejuvenation procedure always depend on the training and skill of the clinician. At-home and spa treatments are not intended to produce medical-grade results. Established practices are also able to provide a safe procedure to patients eliminating concerns for further infection that could occur with at home treatments. A professional can accurately evaluate skin type and specific skin conditions, then recommend a procedural plan specifically tailored for each patient.